Rank: #36 out of 329. 1 Year Limited Warranty and service included. Optional 1-year, 2-year, and 3-year extended warranty available for U.S. customers sold separately. Amazon Tap is a very popular option in the middle of the bluetooth speakers price range. 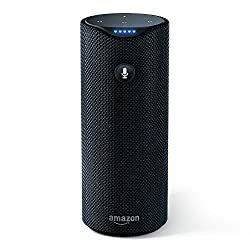 It's in the top 3 bestselling bluetooth speakers and has dozens of popular alternatives in the same price range, such as Anker SoundCore Sport XL or Zamkol ZK606 . Amazon Tap is $1.14 more expensive than the average bluetooth speaker ($49.99).